This volume breaks new ground by conceptualizing landscape as a dynamic cultural complex in which the natural world and human practice are inextricably linked and are constantly interacting. 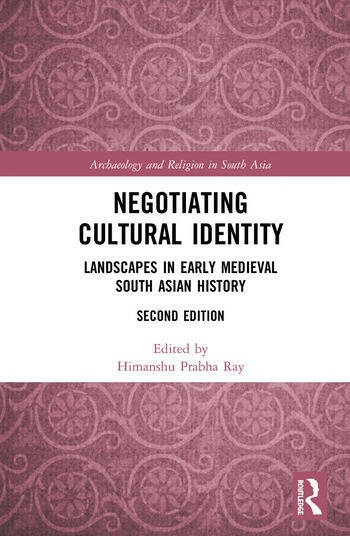 It examines the social and cultural construction of space in the early medieval period in South Asia, as manifest in society, religion and as shaped through trade and economic transactions. The work will be especially useful to scholars and researchers of archaeology, social history, art history and anthropology. Himanshu Prabha Ray is Honorary Professor of the Distant Worlds Programme, Ludwig Maximilian University in Munich, Germany. She is former Chairperson, National Monuments Authority, Ministry of Culture in New Delhi, India, and former Professor in the Centre for Historical Studies, Jawaharlal Nehru University in New Delhi, India. Her research interests include Maritime History and Archaeology of the Indian Ocean, the History of Archaeology in South and Southeast Asia and the Archaeology of Religion in Asia. Her recent books include Archaeology and Buddhism in South Asia (2018), Buddhism and Gandhara: An Archaeology of Museum Collections (ed. 2018), The Archaeology of Sacred Spaces: The Temple in Western India, 2nd century BCE to 8th century CE (with Susan Verma Mishra, 2017), The Return of the Buddha: Ancient Symbols for a New Nation (2014) and The Archaeology of Seafaring in Ancient South Asia (2003). Her edited volumes include Bridging the Gulf: Maritime Cultural Heritage of the Western Indian Ocean (2016), Indian World Heritage Sites in Context (2014), The Sea, Identity and History: From the Bay of Bengal to the South China Sea (with Satish Chandra, 2013).